#3DPrinted Geometric Laptop Stand « Adafruit Industries – Makers, hackers, artists, designers and engineers! 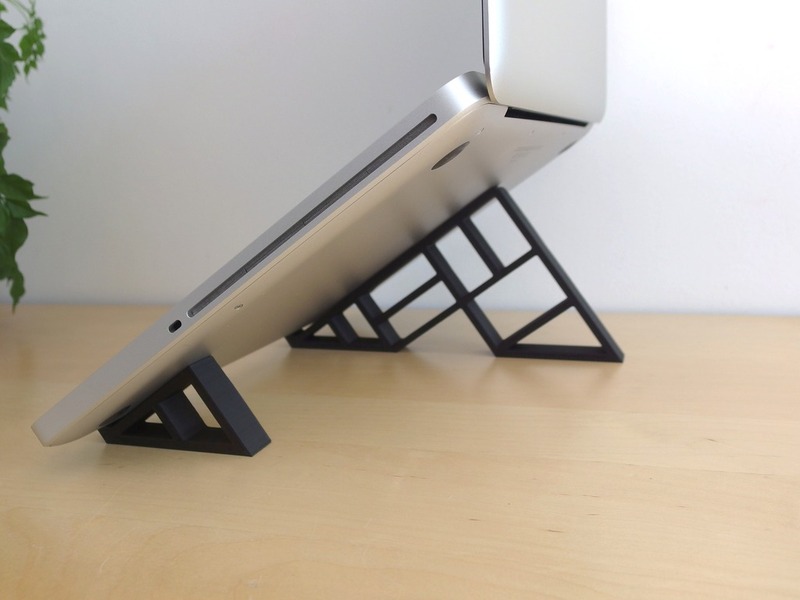 “The geometric stand” for MacBook Pro will raise your laptop and your back will say thank you! It’s a stand that allows you to raise the height of your screen. Is thought to use the maximum opening angle of 120° from your MacBook Pro. It’s based on the weight of your laptop, find the best place and your laptop will look like it’s flying in the air!